I’m a YouTuber with 2,000 channel subscribers. Some would consider me a ‘small time’ player in the ultra-competitive vlogging space. Yet I was a recent speaker at the world-famous gaming event The Penny Arcade Expo (PAX) in Melbourne. So how was I able to secure a place in this world-famous event? It wasn’t necessarily because of simply sending emails back and forth (although that was certainly involved). Instead, I credit one major thing for this achievement – my mindset. You see, there is a difference between people who succeed in life, and those who flounder from one failed project to the other. Developing the mentality of a successful person is 90% of the game. We all know “that guy” that says they want to do something.. but gives up after a few short days. They might show up for the first few days or so. But slowly they fade away, and all that effort was for nothing. We all know someone like that. People who only see the glory, but aren’t willing to put in the effort. But to those people, I ask why? Is it because our modern world has conditioned us to live for instant gratification? It could be. I’m not here to dismiss the theory above, but to simply offer you another perspective. I see the above as an excuse, a scapegoat we can shift the blame to should we fail to achieve what we THINK we want. That’s right – we all THINK we want something until we see how much time and effort needs to be put into it. I’m here to offer you another theory that works in conjunction with the previous one. What if I told you that the reason people give up on things is because they either try to stand out to fit in, or fit in to stand out? The people who show up to the gym for a day or so probably are not that interested in developing stronger muscles as much as they are sculpting their body for aesthetic appeal. They try to make their body stand out so that they can fit in. On the flip side, it could be a brand new YouTuber trying to make it big by playing the newest games because they think it will bring them the most attention – they try to stand out by fitting in. At the end of the day, these are all selfish external motivations that are short lived and all about oneself. But if we really want to change the way we operate, change the way we look, feel, or think – or even just to make a lasting impact; it takes intense internal motivation and an incredible amount of time. If you or someone you know falls into any of the two categories above, I want you (or them) to consider this. Why not stand out or fit in – period. This happens when society all of a sudden doesn’t control you or limit you. If you want to do something you like just because you like it – regardless of what anybody else thinks or how popular/unpopular it is; you satisfy yourself. When you do things to satisfy yourself for the sake of satisfying yourself, you have an internal motivation – a reason, a passion. When you act this way, the concept of “standing out” and “fitting in” disappear entirely because it honestly doesn’t matter – when you’re doing what you love, who cares whether you stand out or fit in? For some, this might be news – a new outlook on life or a new way of thinking; if so, then congratulations, you’re on a path to discovering your passion. But for others, this is already where you are; you have something you are obsessively passionate about – something you are willing to give blood, sweat, and tears to. Sound like you? What’s the next step? How do you take passion and turn it into purpose- something you can show at your respective BIG events? The key is in purpose. While passion is what we are doing, purpose is why we are doing it. For me at least, my purpose is a selfless external motivation: “I want to share my stories with the rest of the world because there are people who seek solace and escapism that these stories offer uniquely”. This is majorly different than the previous “selfish external motivation” as the purpose does not contain “I”. I’ve found that within my group of friends, purpose is very rarely found – but in the rare case that it is, it usually does not revolve around oneself. A simple way to find your purpose is to do what I just did, “I want to ____ because ___.” and ensure that everything that comes after “because” does not contain anything about you. Now let’s say you find it difficult to find your purpose, as do many people. I can’t promise you that if you’re absolutely clueless that reading this article will magically fuel your passion and purpose – but I will try to set you on some sort of path nonetheless. The worst thing you can do is wait – to think that one day, your purpose will come to you and only then will you act on it. What if it takes 2 years? 5 years? 10 years? Will you just sit idly waiting for some “purpose” to magically come to you all of a sudden? And then think that just because you have a purpose that you can magically pull off a big event? No; maybe in a galaxy far far away but not here. Here on Earth, those who have found their purpose discover it themselves. They dig deep into the darkest regions of their heart. They understand what makes them tick and dig into every experience that they have, regardless of how painful or excruciating the emotional roller coaster may be. Yet if you still find it difficult to find a purpose, maybe you could go through a few more experiences; open up, try more things, experiment and find out what you like, what you don’t like, what makes you angry, sad, happy, or disgusted. Whatever makes you feel something has the potential to make others feel something… actively search for what that is or you will never find it. Now let’s say you’re someone small – small reach, small influence; but you want to achieve big, you are ambitious with your goals and you want to blow up. How do you get into speaking at big events? For gaming it’s PAX and E3, for film it may be something like Sundance, for Minecraft it’s Minecon – you get the idea. What’s the difference between a small influencer (or creator, or whatever you are) who applies to speak at PAX and one who doesn’t? The one who applies has a higher chance of speaking at PAX. 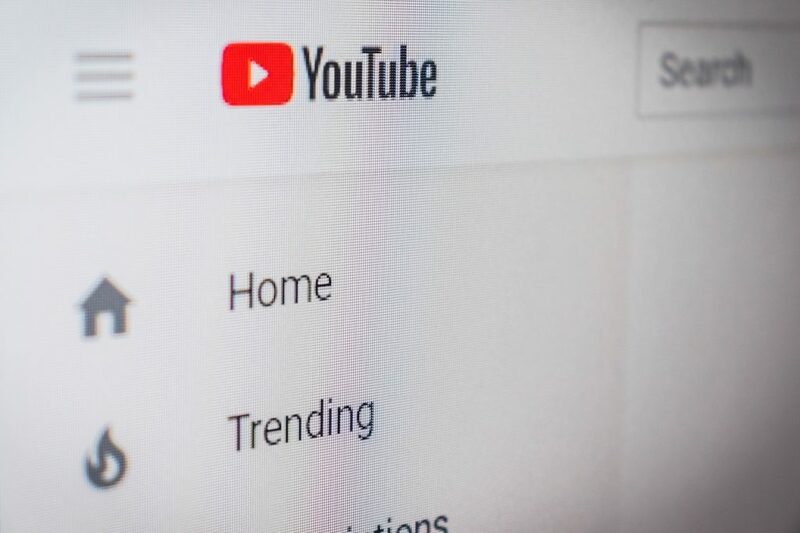 Let’s say you’re a new YouTuber – you may be tempted to think that subscribers and view counts matter and I’m here to tell you they don’t. If that’s the reason you didn’t apply whatever you wanted to, because you thought you didn’t have enough numbers on a certain website, you need things put into perspective. Hypothetically, if filmmaker Steven Spielberg decided to make a YouTube channel and happen to not grow it properly, he would not be judged for having a “small channel”. This is because his success is not based around numbers but rather actual, substantial achievements and films. If you’re a YouTuber trying to make it big, you’ve got passion and purpose – why would a few numbers matter to you? The answer is that it shouldn’t. What would affect you more? If I walked up to you and told you that I’m speaking at PAX because I have 2,000 subscribers on YouTube? Or if I told you I’m speaking at PAX because this is an opportunity to show off my life’s work and change people’s lives? Passion and purpose far outweigh a few numbers. 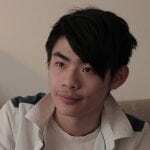 Julian Choi is a film editor, animator, VFX Artist, and Writer. With a Bachelor of Film, he has founded his own YouTube channel "TeamWnJ", where he uploads his highly produced animated web series "Levaslier" as well as tutorials on film and animation. He has edited over 500 videos in his 8 years active on YouTube and the entertainment industry. "Levaslier" stands as his greatest achievement, a 6 years long project boasting a whopping 550 pages.